Not only does Euro 6 set the strictest NOx and PM emissions limits yet, it also requires – for the first time – on-road testing to prove new cars can deliver low emissions on the road. Average new car CO2 emissions rose for the first time on record in 2017, up 0.8% to 121.0g/km. 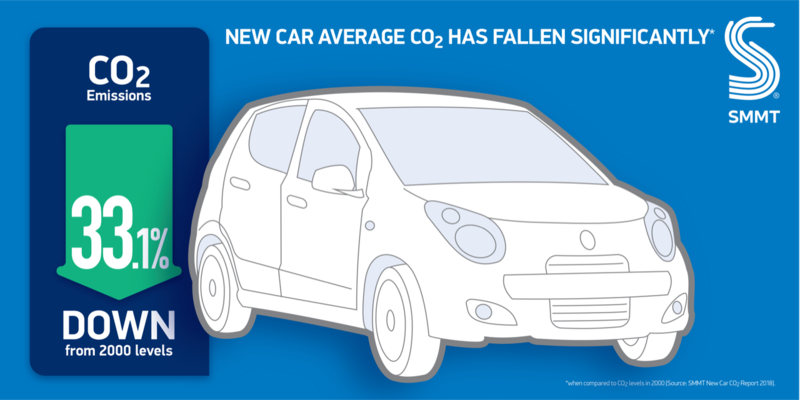 A 2017 car has on average CO2 emissions 33.1% lower than in 2000 and 20% lower than the average car in use. 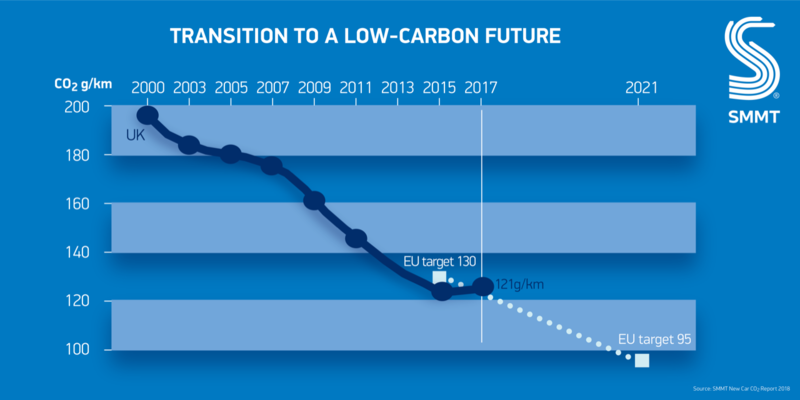 Industry is delivering even lower CO2 emitting products, and new models introduced in 2017 had CO2 emissions on average 12.6% lower than the model they replaced. The rise in 2017 reflected on-going market trends, notably consumer shift towards larger vehicles and the 17.1% drop in diesel registrations. Diesels typically emit 15%-20% lower CO2 emitting than petrol cars (with like-for-like performance). Zero emission battery electric vehicles took a 0.5% share of the market, plug-in hybrids a 1.3% share and conventional hybrid electric vehicles a 2.9% share in 2017. Alternatively fuelled vehicles (AFV) registrations continued to rise in 2017, up 34.8% to give them a 4.7% share of the market. 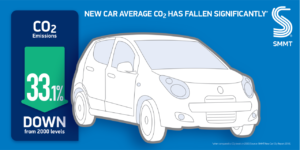 AFVs emitted on average 44% lower CO2 than the market average. The average new light commercial vehicle (LCV, or van) emitted 165.4g/km in 2017, 4.8% below the 2016 level – in a significant pick up in the rate of improvement – and 16.5% down on 2011. 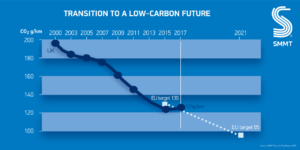 Total CO2 emissions from all vehicles in use fell by 4.6% between 2000 and 2015, as new vehicle efficiencies offset a 7% increase in vehicle use (for cars figures were 9% and 5% respectively). However, emissions have risen in the past two years, reflecting higher mileages. 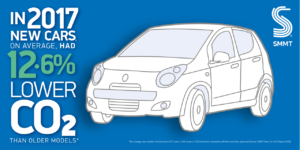 all stakeholders working together to achieve environmental targets in the most cost-effective way possible, and enabling the UK manufacturing industry to be best placed to deliver these lower emitting vehicles. The UK government has played a significant role in supporting industry’s CO2 reduction strategies. Key initiatives include the joint funded Advanced Propulsion Centre and the Go Ultra Low campaign. One in every three cars on UK roads is fuelled by diesel, and their drivers rely on them to travel 118 billion miles every year. On average, diesel cars cover 60% more miles than their petrol counterparts. On-road testing for cars was introduced for new models in 2017, with Europe the first in the world to implement it.